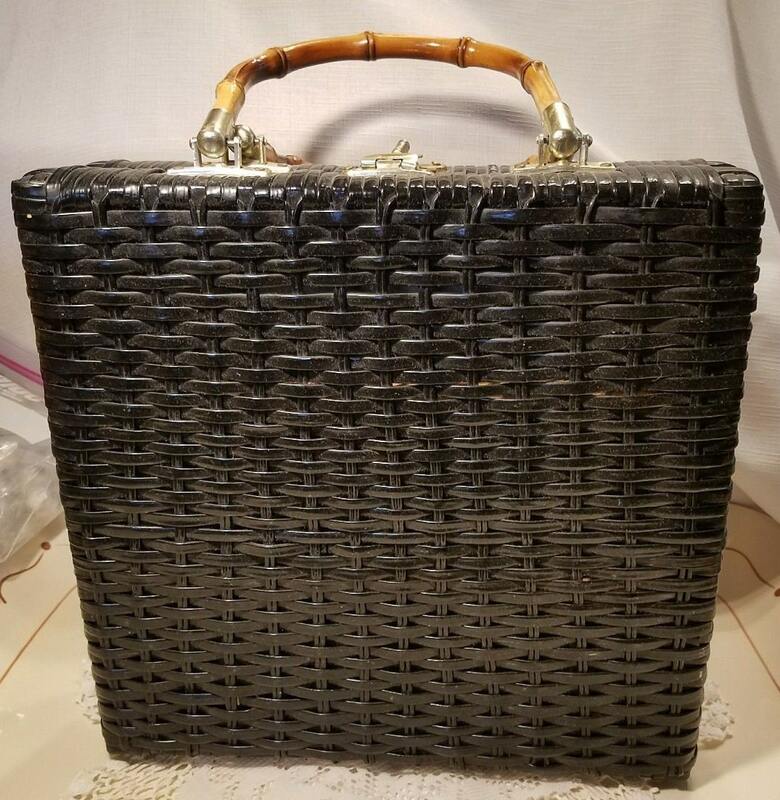 Fabulous black wicker box bag. 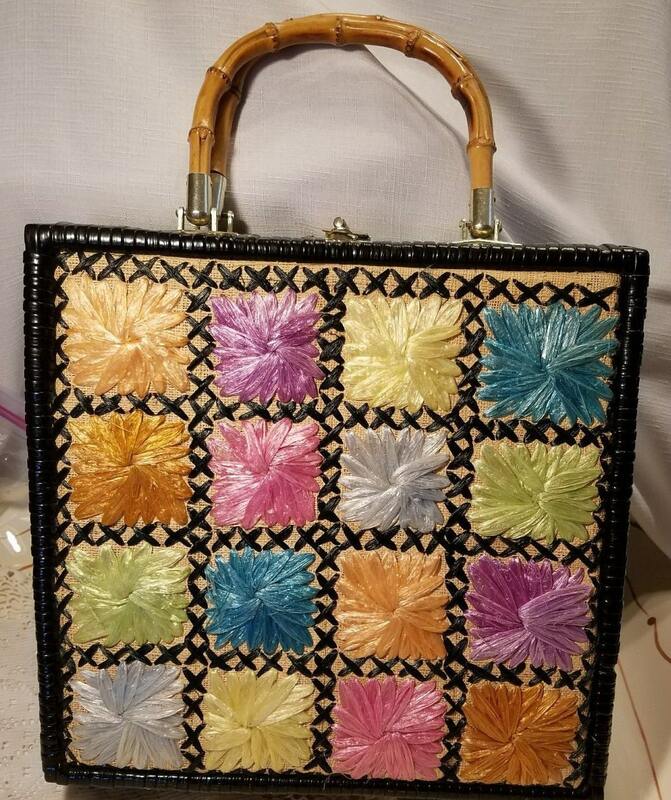 Big, bold, and beautiful vintage mid century handbag with colorful raffia weave front design in rainbow of colors: pink, blue, yellow, orange, and purple. Silver tone metal attachments and key hole lock. 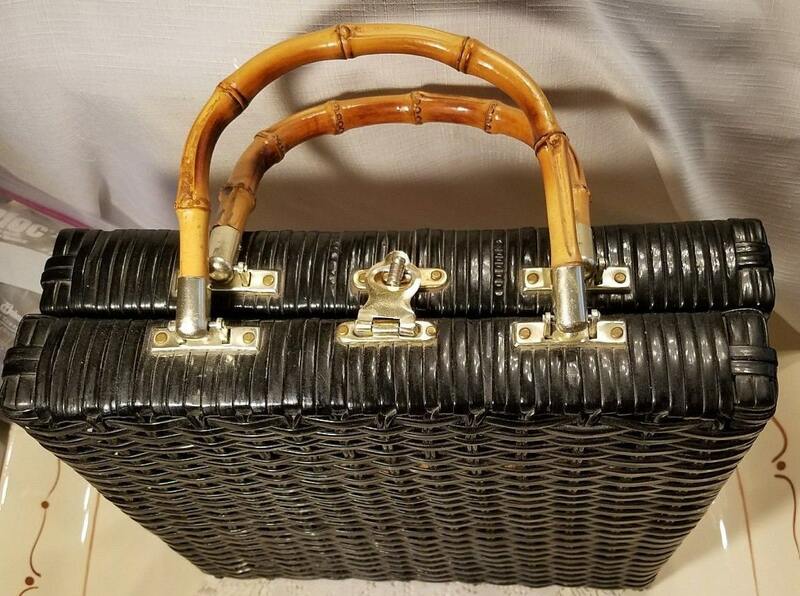 Double bamboo handles with a 5 inch drop. 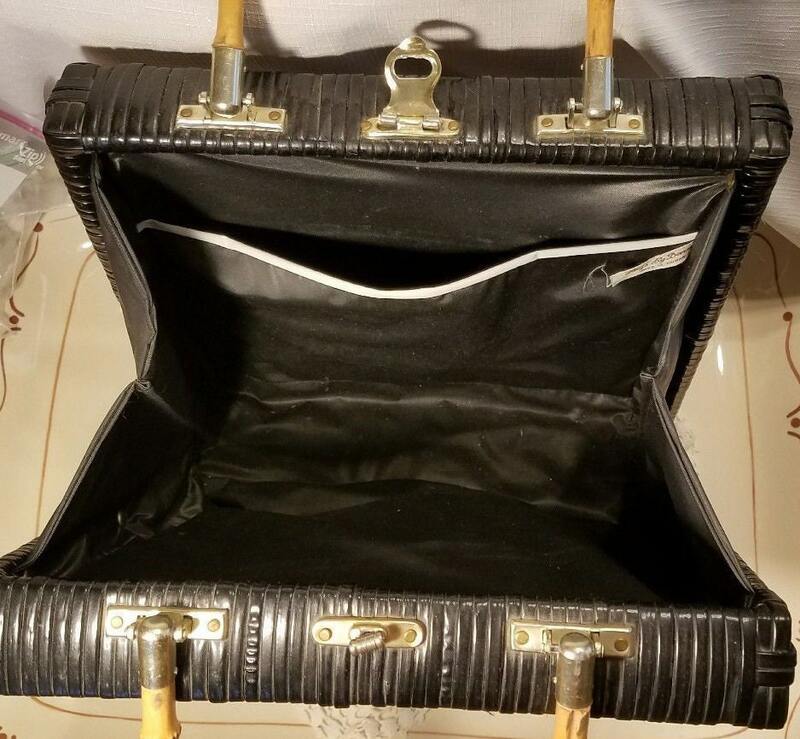 Black vinyl interior with one side pocket. Great vintage shape! 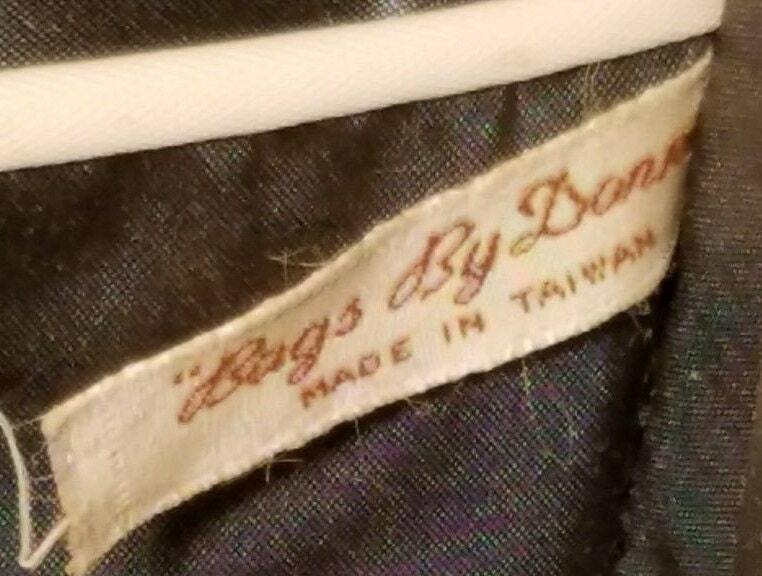 Original label "Bags by Donna. Made in Taiwan." Dimensions: 12 inches tall x 12 inches long x 3.5 inches wide.